Mt Hood is renowned for year-round skiing and snowboarding, and countless miles of hiking and biking trails. Most people visit during the winter and summer months to enjoy these activities. What these folks are missing out on only happens in the fall, and it is such a spectacular occurrence we want to share it with Mt Hood Vacation Rental guests…the brilliant fall foliage! As the seasons transition from summer to autumn, the days get shorter and leaves change from green to the many colors of fall—gold, amber, red, orange and even pink. Once winter is in full swing, there is not enough light or water for photosynthesis, and the leaves dry up and fall to the ground. The trees will rest, and live off the food they stored during the summer. Besides evergreens, the Mt Hood National Forest is full of vine maples, oak, huckleberry and Oregon grapes shrubs with colors that strike a remarkable contrast to the dark greens of Douglas fir and hemlock in the fall. 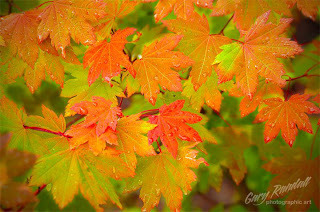 Vine maples, in particular, show off the brightest and most diverse color spectrum, from deep dark red to the most vivid yellow. 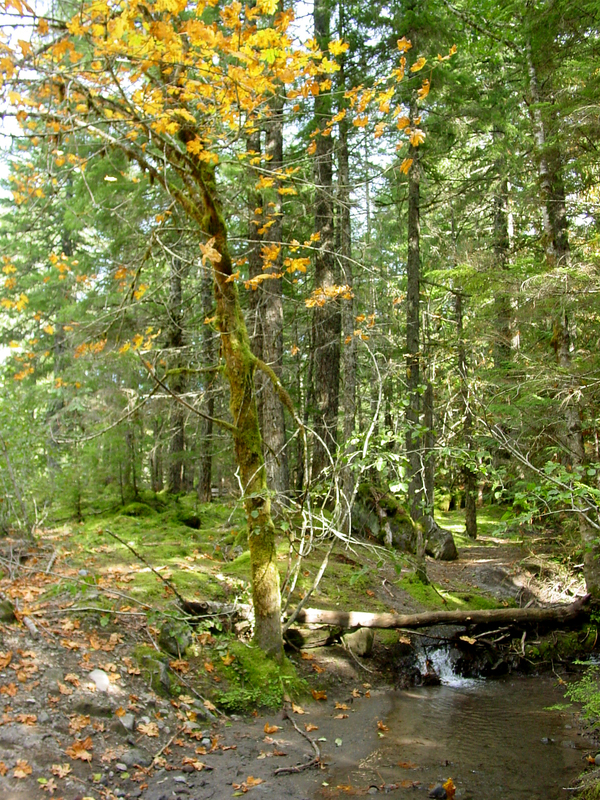 For a magnificent, sweeping view of the Welches Valley and the abundant autumn colors of the Mt Hood National Forest, hike up Hunchback Mountain, accessible from the Zigzag Ranger Station. While it is a somewhat strenuous hike up (an hour each way), you will be well-rewarded with sweeping views of the colorful valley and the Salmon River below once you reach the top. 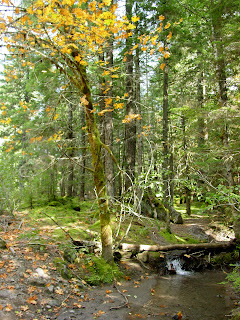 For a more relaxed experience, meander along the Old Salmon River Trail and watch as the fall leaves float peacefully into and down the Salmon River while the salmon are spawning. 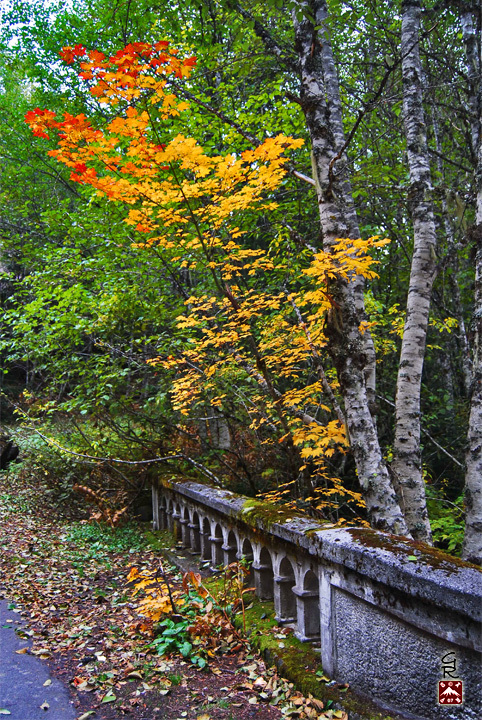 To experience Mt Hood’s fall foliage from the comforts of your car, cruise along the Mt Hood Scenic Byway and the Columbia River Gorge Scenic Byway, which join to create a breathtaking loop around Mt Hood. 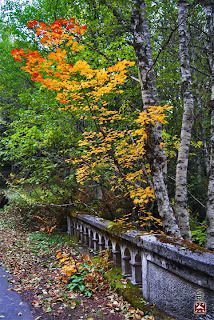 Fall colors are particularly glorious through Hood River Valley, on Highway 35 between Government Camp and Hood River as you drive from forest to field. Take breaks along the Hood River County Fruit Loop at the many orchards and wineries that dot the beautiful landscape, and watch apple, pear and grape harvest in full swing before tasting the fruits of the farms’ labors. Apples, pears, cider and other fall harvest fruits and vegetables are available for sale at many locations. If curling up in the front of a blazing fire with a good book and gazing out the window at the leaves falling is more your style, Mt Hood Vacation Rentals’ fall special continues until Thanksgiving! Stay in one of our warm and inviting homes for 4 nights and you will get your 3rd night half off and 4th night free. 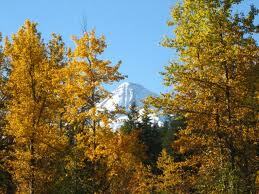 Also in November, Mt Hood Vacation Rentals is Celebrating 20 Years of Creating Memories That Matter. Stay with us in November and you will automatically be entered to win a 2-night stay at one of our welcoming vacation homes for each paid night of your visit. Share with us your Favorite Memorable Story that was created while on vacation, and the best storyteller will also win a 2-night stay. Plus 5 runner-ups will win an adult lift ticket for the 2011/2012 ski and snowboard season.